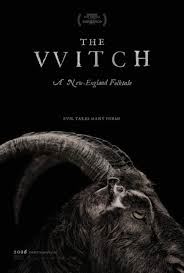 The Witch, from first time feature director Robert Eggers, is that increasingly uncommon, and boldly unconventional, horror feature that sets its sights far beyond simple jump scares and the genre’s various tired recycled staples of fright. Instead, it is out to coil gradually beneath your skin, burrow itself into your imagination and linger there for an extended period; long after its ninety-three minute runtime is far behind you. Eggers takes the long exhausted topics of possession, necromancy, religious persecution and fear of the unknown and transforms them into a composition of endless magnificence. He appears doggedly determined to go out of his way to deliver these well-worn topics into a succession of riveting sequenceso that is, not only as believable as possible, but, unlike anything we’ve seen before. Backed by powerhouse performances, immaculate attention to the dress (courtesy of Linda Muir’s immaculate costume design), dialogue and demeanor of its circa 1630 period detail: Eggers has crafted an instant genre classic; one where the term ‘unnerving’ and ‘spine-chilling’ seems custom made to describe its lasting impression. What is just as extraordinary is that Eggers, who also wrote the meticulously erected screenplay, delivers a slow-burn thriller whose pace only heightens the suspense to almost unbearable levels while being both confident and intelligent. The effort never talks down to its audience or goes outside the confines of what would logically occur within the narrative for an unearned scream. That, in itself, makes this more than worthy of a recommendation. Moreover, it looks and feels wonderfully old-fashioned. This cinematic experience brings to mind timeless terror masterpieces, most notably Stanley Kubrick’s 1980 magnum opus The Shining (which Eggers declared was a great inspiration for the piece), while appearing fresh and wholly original. The similarities are remarkably evident in both Mark Koven’s brilliantly sparse orchestral score, Louise Ford’s seamless film editing and Jarin Blaschke’s ominous, eerie and elegiac cinematography. This results in a tremendous achievement; one that is exceptionally well-done on all accounts. Eggers’ extraordinarily mounted and intense “New England folktale”, as the opening informs us and which we uncover immediately before the end credits has portions taken directly from the diaries of 17th Century Puritans, can be seen as a precursor to the religious fervor of The Salem Witch Trials. This occurred sixty-two years after the chronicle takes flight. To accomplish this goal Eggers has constructed a piece which concerns a family who is made to leave a plantation because of the father, William (in a portrayal by Ralph Ineson that is passionate and commanding), and his severe biblical interpretation. Later, the group of seven settles down to build a new life. They construct a home with a barn in front of a strangely brooding and deeply-reaching wooded expanse. Soon William and his children seem drawn to the region and find themselves making up excuses to explore its recesses. Almost immediately afterward a series of unearthly events begin to build. These are all surrounding the forest and the strange acting animals within and around it. The unconsecrated sensibility emanating from the area becomes all the more palpable when the youngest child, in an effectually staged first act sequence, vanishes during a game of peak-a-boo with oldest daughter, Thomasin (in a depiction by Anya Taylor-Joy which is as gripping, varied and alive as the striking images Eggers puts on-screen). The mother, Katherine (in an enactment by Kate Dickie that is successfully accomplishes turns of vulnerability and outright danger masterfully), and William are understandably grief-stricken. Caleb (Harvey Scrimshaw) and twins Mercy (Ellie Grainger) and Jonas (Lucas Dawson), all of whom are wonderfully and uncannily played, seem to either be dealing with the loss in their own way or strangely removed from the situation altogether. Soon the presence of evil, which becomes pinpointed to a scene-stealing goat named Black Phillip, who is rumored to talk to Mercy and Jonas, grows. This existence of a malicious entity continues to steadily make itself known. Such disturbing goings-on progressively transpires until the clan is pitted against one another. From herein, the word ‘witch’ is hurled to practically everyone involved. This is distributed with increasing rapidity as the wickedness takes over. The feature is a triumphant combination of both drama and visceral gothic horror. Most importantly, it avoids the clichés of the genre at nearly every turn. A large part of the success of this exertion derives from the factor that Eggers treats nearly every personality we encounter on-screen as if they are the lead of the tale, especially in the beginning thirty-five minutes. Eggers builds his characters with the patience of a work by Ingmar Bergman and, simultaneously, finds the way to craft moments of menace that are sly and quietly intimidating. This balance is evoked so seamlessly that it makes the increasingly accruing evil appear all the more authentic. Initial scenes involving a rabbit with an unnerving stare, though it is initially difficult to declare exactly why it produces such an outcome, is initial proof of how meritoriously this blend of real-life and the unholy is accomplished. Often the terror is carved, just as masterfully as the more obvious jolts, from extended periods of unsettling silence. There are moments, mostly reserved for the first and last ten minutes, which also brought to my mind thoughts of F.W. Murnau’s ground-breaking, expressionistic approach in his silent 1922 vampire masterpiece, Nosferatu. This duration also contains a sense of the abstract quality and rhythms of David Lynch’s 1977 avant-garde classic, Eraserhead. In these early and late sections, Eggers showcases terror sequences at his most grimly poetic and evidently visceral. Though these are obviously designed to chill your blood and stay with you, and they certainly achieve their intended consequence, these more obvious attempts at trepidation are just as victorious as the more subtle anxiety setting starts that take up the bulk of the picture. Moreover, Eggers never betrays the Kubrickian catalyst flowing throughout the endeavor. The result is a big-screen endeavor which commences brilliantly, grabs our attention and continues to defy our expectations just as smartly until its appropriately understated conclusion. The Witch works so well because it leaves just enough to get our imagination to fill in the blanks while it tosses one beautifully macabre image after another our way. This is an incredible feat, made all the more plausible due to the always believable credible contribution from both Luc Benning’s special and Andrew Alzner’s visual effects team, that Eggers pulls off without a hitch. There are many other terrific technical attributes which make this endeavor such a one of a kind marvel. Christopher Guglick, Jason Perriera, Adam Stein, Orest Sushko and Robert Turi’s influence in the sound department is terrific. Mary Kirkland has issued tremendous set decoration, which only adds to the painstaking period authenticity present. The make-up department, credited to Francois Dagenais and seven others, does excellent work. These consistently high-quality markers help illuminate all that radiates from the screen and make the overall effort all the more immersive. Eggers’ intentions with this project, besides scaring the hell out of us, was to understand the spiritual mania of the era and, alternately, give us a precursor to The Salem Witch Trials. Because the individuals here are so well-honed, and he elicits such concern for them, we understand William’s actions as he accuses those around him of witchcraft. Yet, we are just as sympathetic of those who are the indicted. In so doing, we often wonder if he is handling himself in such a manner as to cover up his own personal dabbling in such a field. This is because the production, true to the tradition of the best terror endeavors, effortlessly transports us inside the mind of those the tale follows. The spectacularly constructed shocks are all the more potent because Eggers and company dare to do what few horror features wish to do nowadays. This is gaze far beyond the surface and into the beating heart of those involved. Such is one of the primary reasons The Witch is so uncommonly effective. It is guaranteed to remain a favorite for both genre and art-house aficionados for years to come.